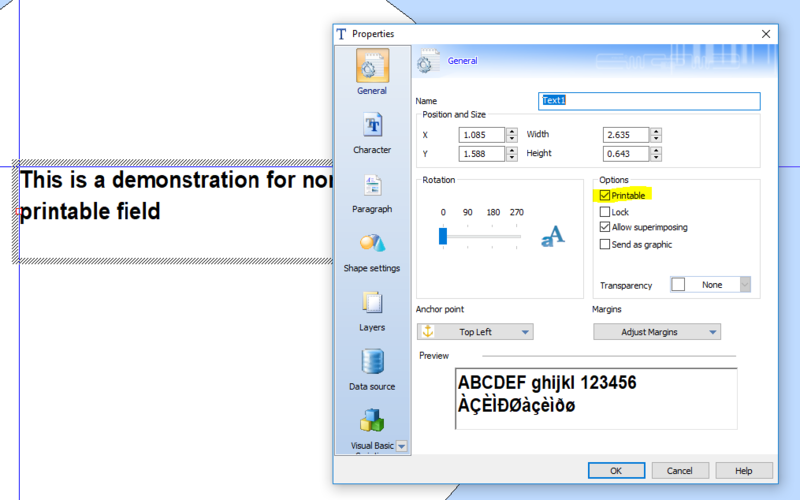 This instruction article explains how to create a non-printable field on a CODESOFT label. From time to time, there is a need to create fields on the label that are visible during data entry phase of the label production but not desirable to have them printed on the label. These fields could be used as informational or interim field for data manipulation or operator prompts during the printing process. To make the field non-printable, user needs to uncheck a box in the field’s Properties (General) sheet.